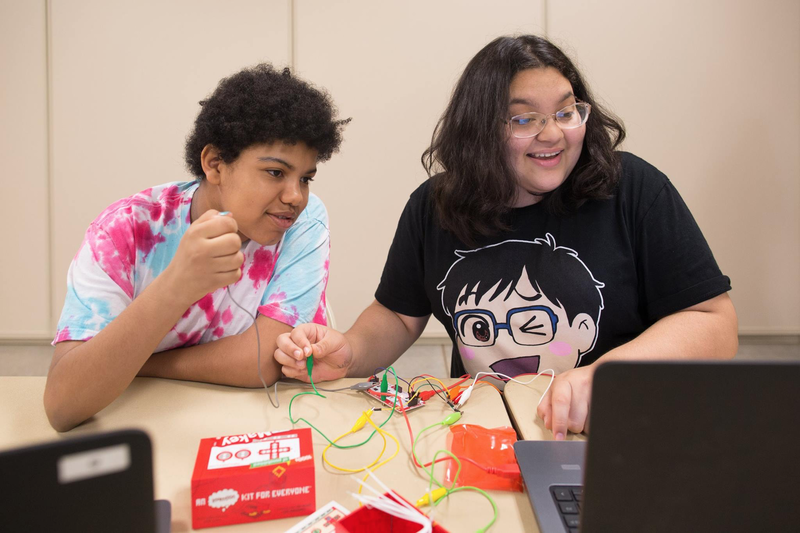 This is part one of Coding as Enrichment, a series dedicated to resources, pedagogy, best practices and lessons learned in bringing hands-on technology workshops to underserved K-12 students as part of Code Park. A typical set-up in Code Park’s Creative Coding Program. I sit with students at a round table to guide them through projects. December 2017 at Leonel Castillo Community Center. Photo courtesy of Code Park. Everyone can easily agree that the education system is broken. Here’s what we’re doing to help bring about change. 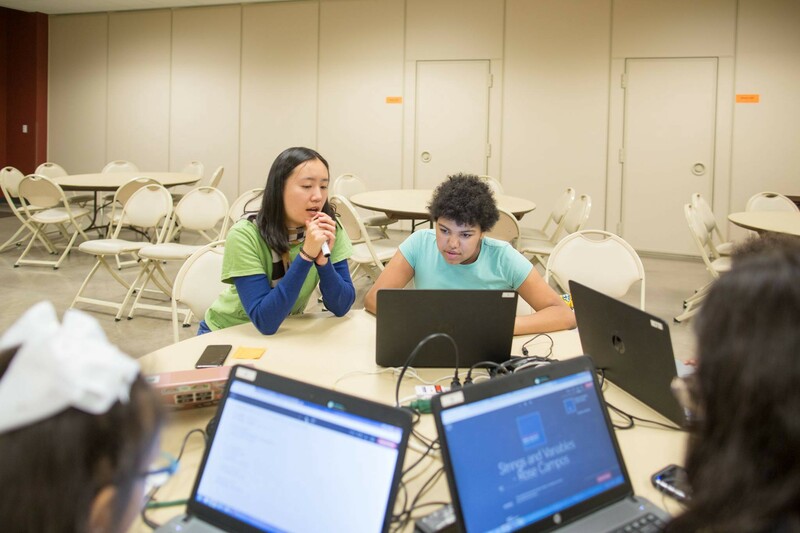 For ten weeks, Amanda Shih, Neeraj Tandon and I piloted a free after-school Creative Coding program at Leonel Castillo Community Center as Code Park, a 501(c)(3) non-profit organization. We focused on Coding as Enrichment by encouraging our students to make art, animation, and stories. Instead of traversing a programming language’s syntax peculiarities, our students drew colorful lines, made interactive buttons, and shared their creations. We also worked to provide a positive and collaborative learning environment. Our students were encouraged to learn by making mistakes and exploring his or her own interests. In the process, we just happened to facilitate knowledge in coding, problem-solving, electronics science and collaboration. By the end of our program, our students became creators of technology rather than consumers. When it comes to technology, the arts can be an unusual pathway to success. But we know and see that creativity is the secret sauce that inspires the next generation of diverse and passionate students. This moment of happiness below shows. “Wait what if we try this!” Rose excitedly proposed to Imani as they worked together to program a car roll slow then quickly when a circuit is completed. Their faces lit up with wonder and excitement when a colorful car animated across the computer screen and it just worked. October 2017 at Leonel Castillo Community Center. Photo courtesy of Code Park. Open Source Creative Coding Curriculum — open source curriculum to be used in your own classroom! Please check out codepark.org to learn more about the organization, and follow our work on Twitter and Facebook. My skills are highly transferrable.